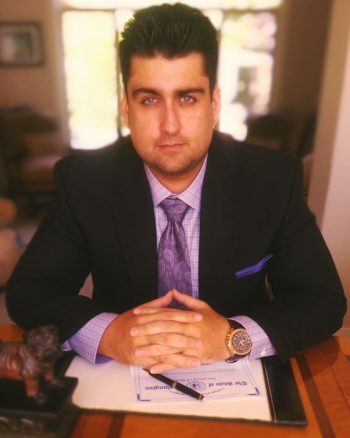 Mr. Zabihi received his bachelor’s degree from University of Washington in 2009, and he graduated from the Thomas Jefferson School of Law in 2014. His specialty areas of practice are in Investment Fraud, Securities Law, Business Law, and Aviation Law. With years of experience dealing in investment matters, Mr. Zabihi focuses on providing dedicated legal services to his clients. As a pilot, his passion for aviation is entwined with the world of Aviation Law. Mr. Zabihi is able to provide aviation legal services from a unique perspective as a pilot. Thomas Jefferson School of Law - J.D. Publications: - Drones and the Lack of Federal Control, 82 Journal of Transportation Law, Logistics and Policy, 49 (2015).